Silverstone's Nightjar NJ520 is a fanless power supply that offers users a whole new experience of quietness and stability. Its premium components and engineering helped it to achieve 80 PLUS Platinum level of efficiency, reducing wasted heat and enable an open grille design that can operate reliably without fan attached. 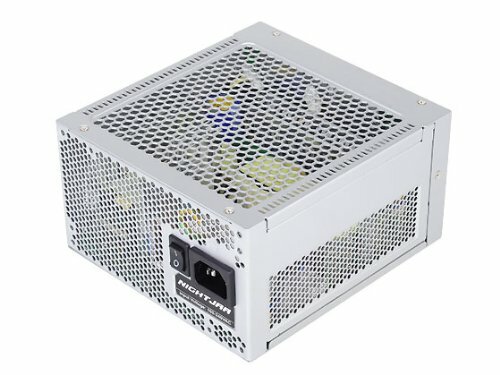 This noise-less performance can be maintained with stringent electrical characteristics even under 40 DegreeC operating environment.As a versatile power supply, NJ520 has powerful +12V output of 43A for high-end system usage and its flexible, flat modular cables make assembly easy for improved case airflow. For professionals looking to build PCs or workstations for specialized settings such as recording studio or sound-optimized laboratories, the Nightjar series PSUs with their consistent emphasis on quality, stability, and reliability, are sure to satisfy. The form factor of this power supply is ATX and the dimensions are just like any other ATX power supply width 86mm , Height 150mm these are always the same but the length varies from 140mm to 210mm.